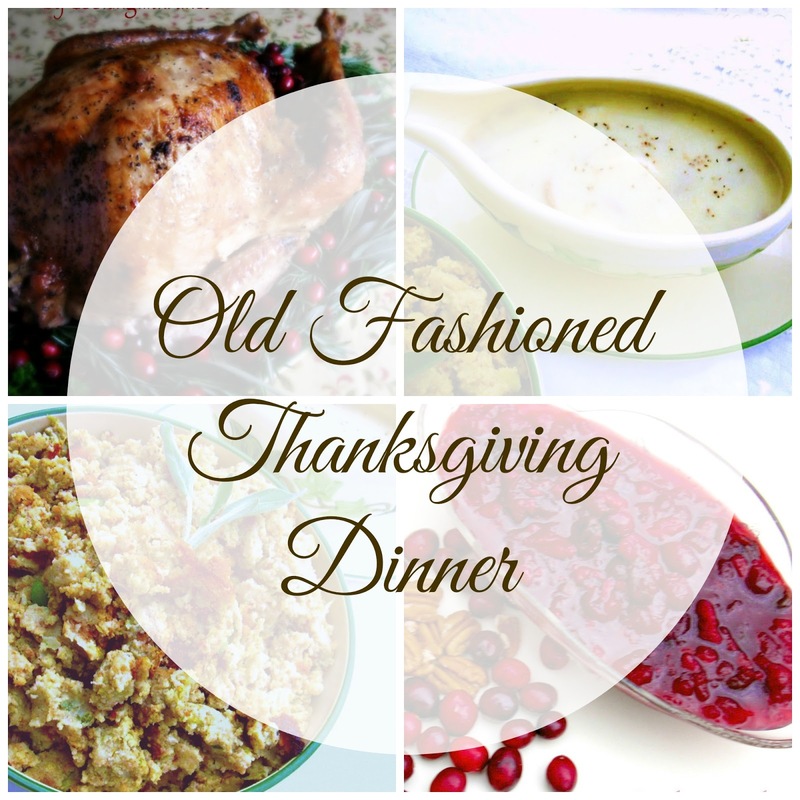 Old Fashioned Thanksgiving recipes including Baked Herb Butter Turkey, Southern Cornbread Dressing, and Southern Giblet Gravy! Whether this is your first time to prepare a Thanksgiving meal or you are a seasoned cook, these recipes are easy to follow and sure to please any of your guests. Countdown to Thanksgiving continues here at my house, starting with what is going to be on the menu. 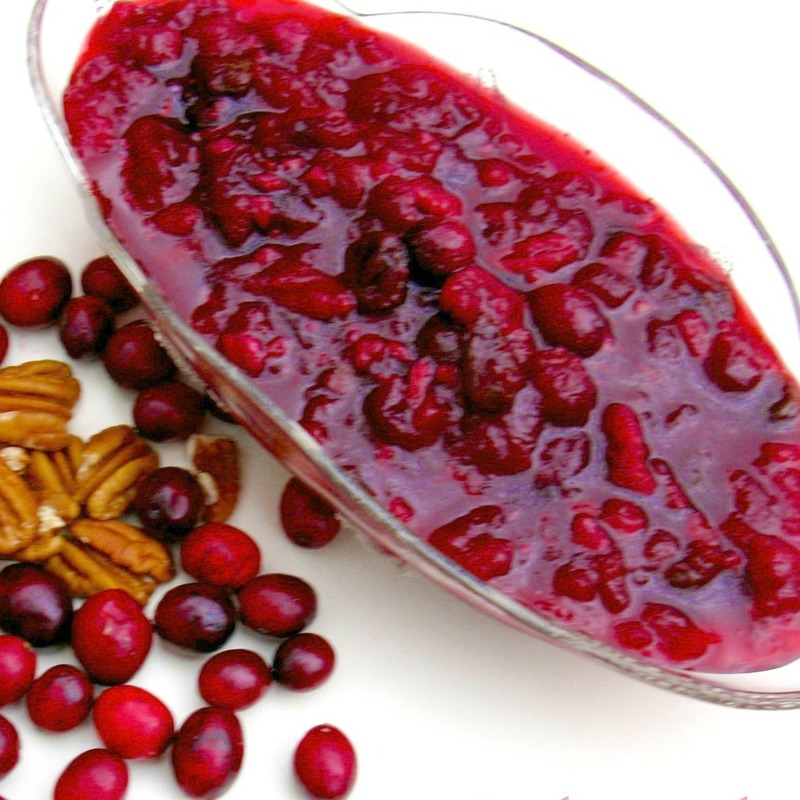 As always, at the top of our menu list is Turkey and Dressing, and Giblet Gravy! Some call it stuffing, and some call it dressing. Here in the south, we call it dressing. As I grew up and later married, I began to realize all the different ways people cook turkey and dressing and giblet gravy. I grew up eating baked turkey versus roast turkey. Over the last few years, my daughters, daughter-in-law, and I started improving on an already delicious turkey we had been cooking for years. 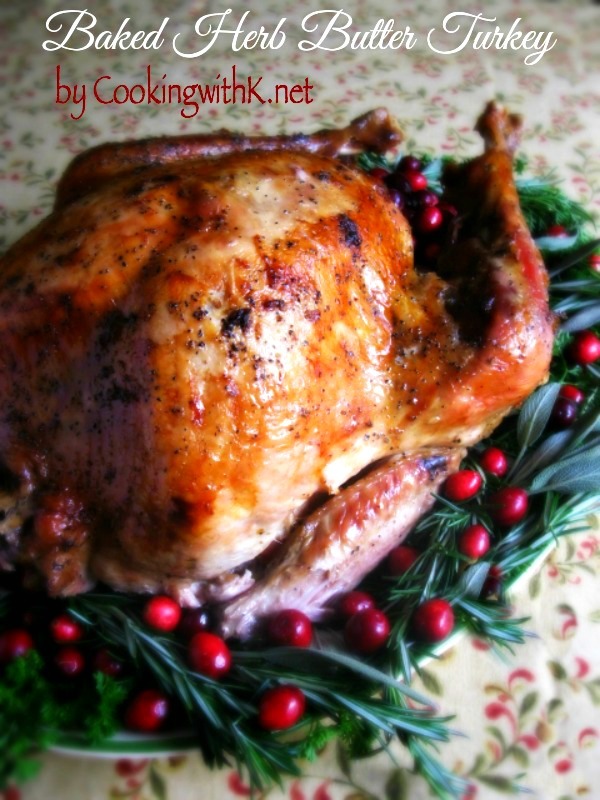 I wanted to add fresh herbs but didn't want to overpower the natural flavor of a moist turkey we loved so much. So we came up with this recipe for Baked Herb Butter Turkey! The method we use is stuffing fresh herbs with a stick of butter in the cavity of the turkey and baking it at a low temperature, slow overnight. This method produces all the succulent flavors you want in a Thanksgiving turkey, not to mention a gorgeous presentation. Don't forget to garnish your serving platter with some of those fresh herbs. When I married my husband, he was used to eating stuffed turkey and a moister dressing than I was used to eating. So as the years went by, my husband and I met in the middle of making the dressing. 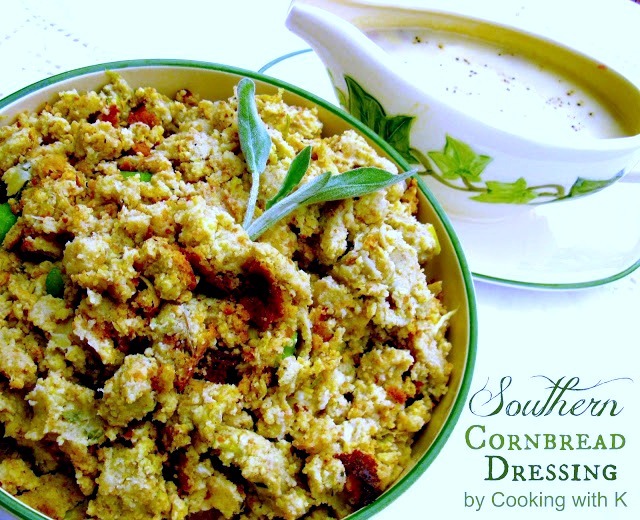 We do not stuff our turkey, but I adapted his Mother's recipe with my Mother's recipe, and we now have our own traditional Southern Cornbread Dressing recipe. It is so funny, I loved my Mother's recipe, and I loved my Mother-in-law's recipe, but we couldn't have both, but now we have the best of both Mothers! Talking about giblet gravy is interesting too. Most people, I have found do not like giblet gravy---Horas! We even have them in our family, and then we have some that absolutely love it! It just shows how different people really are. There is one secret to making Southern Giblet Gravy superior to others. Do not boil the gravy after the milk is added. Add the sliced boiled eggs just before it is served, to ensure that the eggs are tender. 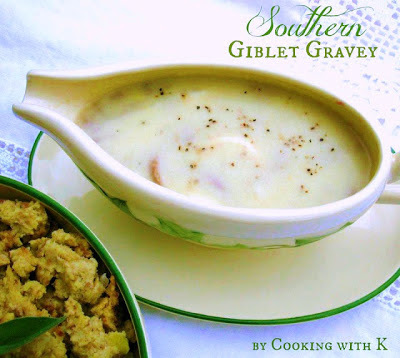 Just a little tidbit there in case you are a fan of Southern Giblet Gravy! These two steps are essential to do before handling the turkey. 1.Line a big deep roaster (however size your turkey will fit in) pan going crosswise with heavy duty aluminum foil, making sure that it is tuck down in around the sides of the roaster and hanging off considerably to wrap the turkey once it is in the roaster. Repeat the same going lengthwise; then set it aside. 2. Set on the counter ready to reach: 1) your salt and pepper containers, 2) any herbs that are going in, and 3) have the butter opened and sitting on the paper wrapper ready to use. To keep from contaminating the salt and pepper containers, I wrap them with paper towels, and put a rubber band around each of them and use them this way until I am through handling the turkey. After I am through handling the turkey, I discard the paper towel and rubber band. Preheat oven to 325 degrees F. The method of preparing the turkey to bake is the same whether you have a 10 lb. Turkey or a 22 lb. Turkey. Remove and wash giblets from vent and neck of the turkey; set them aside. Wash turkey inside the cavity and outside really good and pat dry. Sprinkle inside and on the back side (not the breast side yet) of the turkey liberally with salt and pepper. Set the turkey backside down in the roasting pan. Insert 1 stick of butter in the cavity of the turkey. Place sprigs of sage, thyme, and rosemary in the cavity. How many sprigs you use varies according to the size of your turkey. For a 22 lb. Turkey, I use 3 sprigs of sage and thyme and 2 sprigs of rosemary. Arrange the giblets (neck, gizzard, heart, and liver) around the turkey in the bottom of the roaster. I usually find there is more room around the neck Sprinkle liberally with salt and pepper on the top and sides of the turkey. Pull the second layer (the one that is lengthwise) of the foil up and around the turkey. Pull the first layer (the one that is crosswise) of foil up together and roll down sealing the turnkey. Gently pat the foil tight around the turkey. Pour the water around the outside of the foil in the roasting pan. Depending on what size your turkey is is how much water you will use. For a 22 lb. Turkey, I use 6-8 cups of water. The water needs to come up half way in the pan. Place in the oven and bake until the meat thermometer inserted in the thickest part of the turkey is 165 degrees. It usually takes 5-6 hours for a 22 lb. Turkey. One hour before the turkey is done open the foil and pull away from the turkey and rub 1 stick of butter over the breast and around the legs until all is melted and bake for the remaining hour to get the golden brown color. Lift the turkey out of the roasting pan and place on a serving platter. Let rest before carving. Remove the giblets and reserve for the giblet gravy. Reserve 2 cups turkey broth for giblet gravy. Leave remaining turkey broth in the roasting pan for the cornbread dressing. In a medium saucepan, saute celery, onions, and green onions with butter until tender but not mushy; set aside. In the roasting pan that the turkey was cooked in, crumble up the cornbread over the reserved turkey broth and mix with a large spoon or potato masher. Add the herb seasoned mix and stir some more. Add celery and onion mixture; stir some more. Add milk and eggs; stir until eggs are mixed well. Add salt and pepper, poultry season and sage; stir until all is mixed well. Pour mixture into individual baking dishes that have been sprayed with a nonstick cooking spray, and bake for one hour and golden brown. You can also bake the dressing in the roasting pan. Bake for 1 and half hours and golden brown or longer if needed. In a large saucepan, heat the turkey broth to boiling. In a small bowl, mix together cornstarch and water until smooth; add to the boiling broth, stirring constantly. Reduce heat to a simmer. Add milk, stirring constantly. Add giblets and stir until well blended. Add salt and pepper to taste and stir until creamy and smooth. Just before serving add sliced eggs. This recipe can be seen at these linky parties here! Also, this recipe and others may be seen at Weekend Potluck. Yes, you cook the dressing after you cook the turkey using the broth in the bottom of the pan. The turkey looks beautiful and sounds moist and delicious! I'm in the process of finding the right recipe for this weekend, and yours may be it. I'm only making about a 10 lb. turkey, though, so I guess it wouldn't take nearly as long to cook? (My first time to make a turkey, although I have roasted a chicken before.) I love the kind of food you make for Thanksgiving, because it really reminds me of Mom's!!! My mother (passed away in 2003; raised in the piney woods of East Texas) had an almost identical Cornbread Dressing, but she never wrote down the recipe. I helped her make it for many years, but I never wrote it down either. This one looks remarkably close and I'll be trying it this year. Thank you for stopping CWK...I know what you mean about writing recipes down. Just to day I was talking to someone about how I wish I had written more of my Mother's recipes down. WOWZERS! What a fantastic post Kay! Everything looks simply mouth-watering. Thanks for stopping by...always love your sweet smile I get on my face from hearing you. Everything looks so yummy Mrs. K!!! I'm looking forward to having some good ole dressing and giblet gravy this year! How early do you start your cooking , day before , the day of ?? Most people do not fix giblet gravy anymore but they do not know what they are missing. I too grew up eating it. Your blog is beautiful from the pictures to the colors. I hope one day my blog and pictures can be as beautiful as yours. 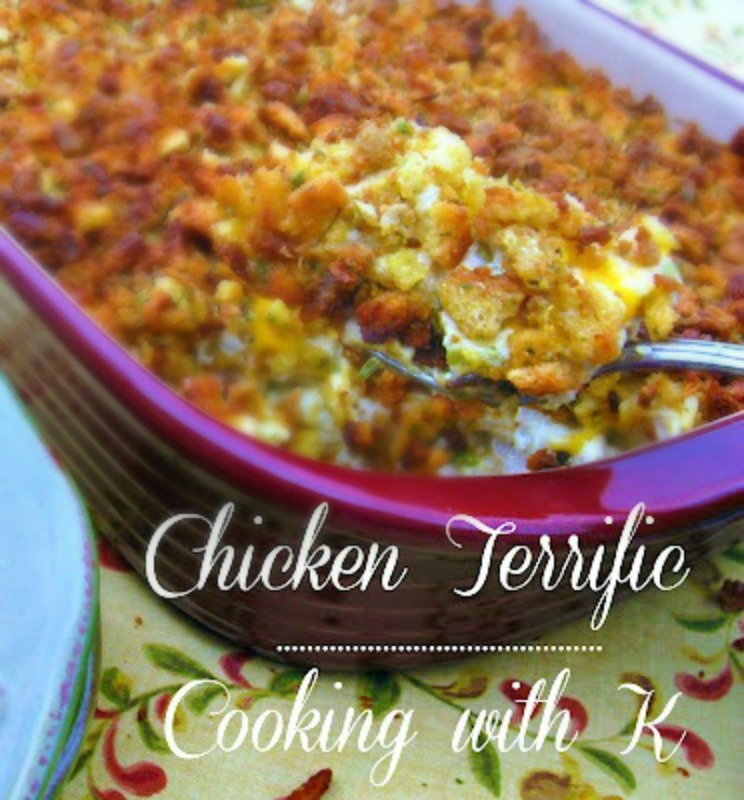 Your recipe has been featured on Full Plate Thursday this week. Hope you are having a great week and enjoy your new Red Plate. This turkey sounds amazing!! And I love your tip about the paper towel and rubber band. I'm going to have to use that!! Thanks so much for linking up to Taste and Tell Thursdays! I am beyond thrilled that Thanksgiving is JUST AROUND THE CORNER! It's my favorite holiday of the year. It came so quickly this year, I don't even know where this year went! What a beautiful turkey! 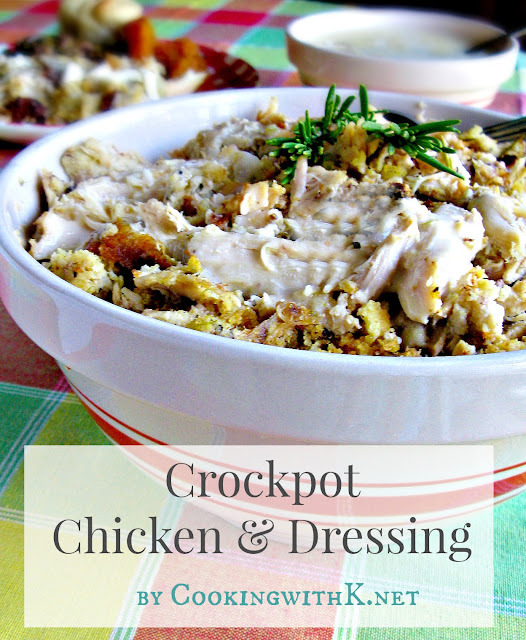 I am from the south as well - Dallas - and we grew up eating cornbread dressing! Is there any other??? Sharing on my SM. Coming to you from Foodie Fridays! I'm new, nice to meet you Kay! Great looking German chocolate pie!